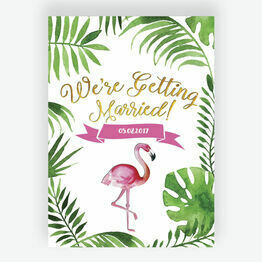 Planning a fun and vibrant destination wedding, or hosting a tropical themed reception? 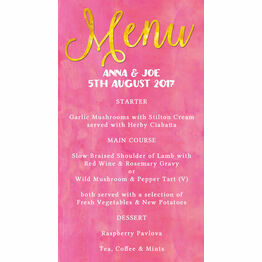 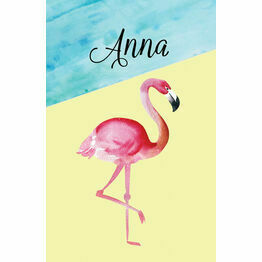 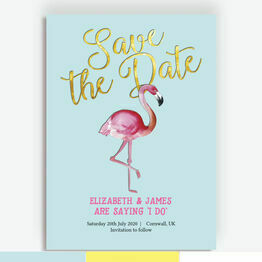 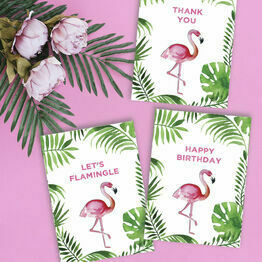 This stationery collection makes a great choice, with bright turquoise, hot pink, yellow and a touch of gold, these fabulous flamingo motifs will have all your guests excited for your special day. 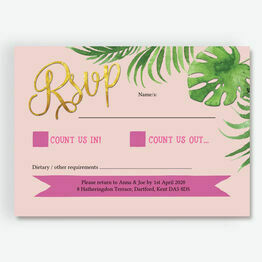 Available as printable PDFs, or professionally printed and delivered.